As we wrap up the first month of the year, many businesses are finalizing their marketing plans, and wrapping up their marketing budgets for the year. Not surprisingly, much has been written over the past few weeks regarding the best marketing practices in which to engage, in order to achieve and increase ROI throughout 2013. As the owner of Creativeworks, a marketing agency dedicated to increasing marketing results for SMB owners, I have a few tips I’d like to share with my fellow SMBs. These tips will help you determine which marketing tactics might be worth investing in. But before I share my tips, I want to remind you that marketing activities or tactics must be aligned with your overall marketing strategy if you hope to generate leads and increase your sales. In other words, you should think strategy first, then tactics, and never the other way around. If you invest in tactics first, without a strategy, then you are shooting in the dark; throwing good money after bad, hoping that some tactic will eventually stick and give you the return you are looking for. Make sure your marketing shows prospective clients/customers how you are different from your competition. Your company’s uniqueness should be reflected in your website, brochures, social media, video, but you might also want to ensure that it can be conveyed in a concise elevator speech, and all of your other marketing materials. Clearly define your target audience, paying careful attention to the demographics. You may find you have one service/product for one specific audience, and other products/services for a second audience. Identify them, including the type of media that this audience is engaged with. For example, although you may want to use social media in your marketing, Facebook may not be the best way to reach married men over 55. Make sure your marketing activities are tied to your strategy. Reactive and ad-hoc marketing simply does not ensure long-lasting ROI. Before you launch any tactic, make sure you have some ability to track the results in an actionable manner. For example, for your website, it’s important to make sure that you don’t only have Google Analytics for the sake of having it. You need to figure out how you can use this tool to track the success of your online campaigns or interactive solutions. The world of marketing may seem topsy turvy to some, but with a solid strategy, aligned tactics and measured results, success is definitely achievable. I am always interested in hearing from you. Have you thought about what marketing tactics you’re going to use this year? How is this year different from 2012? Or are you sticking with your tried-and-true marketing tactics from last year? Let me know in the comments below. Last week, I wrote about the Five W’s – who, what, when, where and why – in A Formula for Lead Generation, which outlined how to create a strategy for a lead generation campaign. As the owner of Creativeworks, a marketing agency dedicated to increasing marketing for SMBs, once we’ve created the strategy for an online campaign with clear objectives and methods, we focus on how the campaign will be executed. As a follow-up to last week’s post, I’d like to share with you a number of tips on how to perfect your online marketing campaign. How to get your audience’s attention: The first step after creating the strategy is engaging your audience. We have found that presenting an offer of some kind is the best way to attract your potential customer. Think of a type of offer you would be comfortable presenting. The offer needs to be engaging enough to entice the audience, but can’t appear to be too good to be true. Otherwise, your audience will steer clear of it. For example, the offer can be a free download of a whitepaper, a discount on product or services, or a chance to win a prize. How to get their lead information: Customers know that in order to receive an offer, they have to do something. Once you have your audience interested in your offer, they should be on your site’s landing page. In addition to containing details regarding your offer, this landing page should include an online form for visitors to fill out. This is the lead generation acquisition piece, and the questions will vary depending on your individual needs. How to get the offer: Once they fill in the online form, an email will go to you, for lead generation, and an email or similar will go to them, delivering your offer (e.g. offer code, download link, whitepaper attachment). How to process the lead: Once you have the lead information, it is up to you as to how you process it. It should follow a sales process. For example, ensuring that contact is made within 48 hours of receiving the lead, second notice is sent within a week, and after 10 days, a phone call is made. You have to evaluate what sort of process works for your company. How you look: Ensure that all design and copy elements are consistent with your brand. If the first time your potential customer sees your brand is via this online advertising, it needs to reflect the same look and tone of your brand on your website, and all other aspects of your business. These tips, plus last week’s tips on strategy, will help you to get started, and to work towards launching an online lead generation marketing campaign. If this all seems a bit overwhelming, or you don’t have the internal resources to take this on, you might want to consider getting some help or advice from a marketing agency. Have you done any online lead generation marketing, and found promising results? Are you considering online marketing this year? I look forward to hearing from you in the comments below. 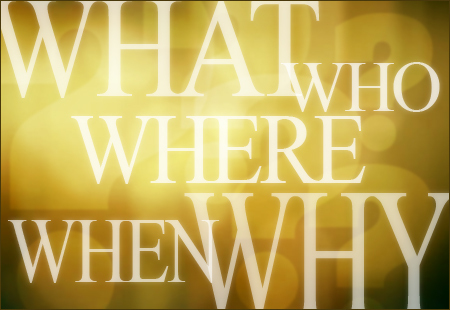 Many of us are familiar with the Five W’s: who, what, when, where and why. 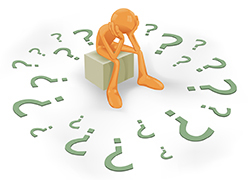 These are the questions whose answers are considered basic in information gathering, and constitute a formula for getting the complete story on a subject. As the owner of Creativeworks, a marketing agency dedicated to increasing marketing for SMB’s, I also rely on the Five W’s when creating online marketing campaigns for our clients, to ensure that the campaign is rooted in clear objectives and methods. However, we have re-examined this formula, and identified specific questions which work better when asked in a specific manner. I am pleased to report that this modified Five W’s strategy has resulted in many successful online campaigns for our clients. Here is an outline of our formula, with descriptions to help you better prepare for your next online campaign. Why before who: Why have you chosen online advertising? Consider why you are creating the campaign: is it to generate actual sales leads, raise brand awareness, or to test the market on a product or service? Setting the What: Setting your objective or objectives for your online campaign is key. What do you hope to achieve from this campaign? Be as specific as possible. E.g. We want one new client worth $10,000 in sales per year. Keep your eye on Who: You’ll need to be clear on who you are targeting this campaign to. Knowing why you are doing this, and what you hope to achieve, will help you determine who you are trying to attract or engage. If, for example, your objective is to promote your brand name and have several dozen product downloads, then you may want to cast a wide net. Afterwards, analyze your results, and see what type of person is interested in what you’re selling. Timing is everything: For our online marketing purposes, When refers not only to when you want to place your ad, but also about frequency. With some online marketing vehicles, you can specifically run your ad on Tuesday mornings only, for example. You will also need to consider how long the ad will run for. Depending on why you are running your ad, it may help you determine if you want to run it for weeks, or a few days. You can also run a campaign on-and-off again, with a two day on, two day off type of approach. Think here about why you are running the campaign, and who your audience is. For example, if you know your audience is online at night during the weekends, then a campaign targeting this time and frequency makes the most sense. Where You Put it: In any type of marketing, where you place your ad is crucial to success. But for online marketing, although we generally know who the audience is on LinkedIn vs. Facebook, for example, you really need to spend some time doing some research into all of the possible venues for online campaigns. Where can you place your ad to give it the best chance of being seen by your target audience? “Where” is our last step because all of the previous steps help set the stage, and this last step is where you lay your head. Spend as much time on this step as you can: the success of your campaign may depend more on the “where” than you might think! No matter how you incorporate the Five W’s into your next online campaign, I am confident that following our formula outlined above has worked for many of my SMB clients, and will help you in achieving success in your next online campaign. 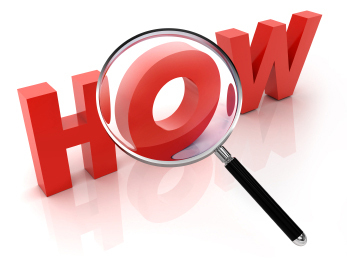 Although “how” is often part of the Five Ws formula, I wanted to discuss the first five steps, which are more strategic in nature, before discussing the “how”, which is more of the tactical aspect of a campaign. With the strategy in place, you’ll be able to better create the actual lead gen tactic. I’ll share this aspect in next week’s blog. What type of formula do you use in your online marketing? Are your findings similar to our own results? Let me know in the comments below. If Your Clients Aren’t Important, Then Who Is? It’s the beginning of a New Year, and new opportunities for small businesses abound… or so I would have thought. Only one week into 2013, I have found myself unimpressed by, and amazed at the lack of basic customer service that I have encountered when trying to buy services from several small businesses. To be honest, this experience is not new to this year. I have found in the last six months that, despite the fact that providing excellent customer service is the foundation for business growth, many small business owners are caring less and less about providing for their customers’ needs. Although this is very exciting news, from a marketing perspective, it also means that there is increased competition among small businesses. More than ever, businesses need to not only differentiate themselves, but also to provide excellent customer service, to present themselves in a professional manner, and to be accountable for their actions, in order to attract and generate long-term growth. Considering the number of hard-working small business owners that I know, who are truly devoted to serving their customers, as well as being aware of the statistics which I have shared with you above, I’m always shocked when I come across SMB’s who appear to want business, but then don’t respond professionally when a new customer (me, that is) comes knocking. My process for finding a new service might sound familiar: I ask colleagues, consultants and friends for referrals for the service I seek. Then, I narrow down the list to the top 2 or 3, and I look them up online. Once I find the one provider that stands out, I usually contact them either via their site, or with an email. I wait a day or two. 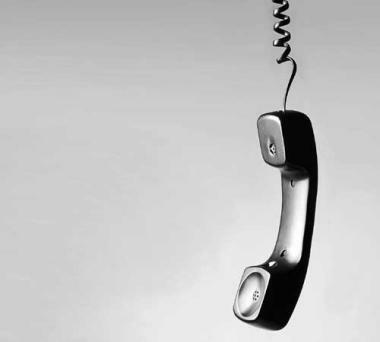 If I still hear nothing, I pick up the phone and call them, usually leaving a message (as often, no actual person answers the phone). I wait another couple of days. Sometimes, I may email or call them one last time, and if I then still receive no communication from them, I write them off. In the past week, I have contacted three small businesses, and not one of them has called or emailed me back. As I said in last week’s blog, I attribute much of my marketing agency’s success to the fact that I value each and every one of my clients. As such, my message to small business owners and entrepreneurs is to make your customers feel that they are important, and that their business matters. Treat them the way you’d like to be treated. If a potential client emails you, calls you, or contacts you in any way, get back to them within 24 hours. If you can’t do this yourself, make sure you have a back-up plan in place, so that you don’t lose their interest. Bottom line – make sure you let your potential clients know just how important they are. What customer service practices does your company follow? Do you think asking for a response within 24 hours is too much to ask in this highly competitive world? Let me know in the comments below.